Harald Wölki, well-known and popular sales professional in sewage treatment plants, is in well-deserved retirement, … rather retirement! Many recused occupations are impatiently waiting for attention. Harry, we thank you, but the team will miss you !!! 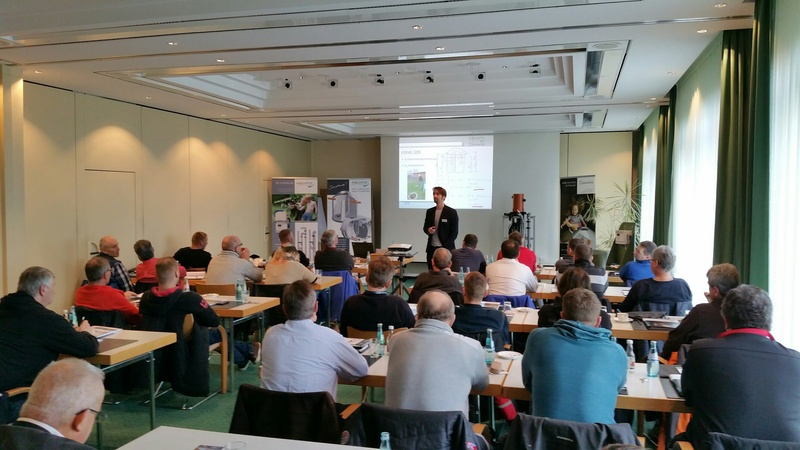 As in every year, the AQUATO® seminar tour across Germany was a great success! Almost all dates were booked out and many of our customers have become friends over the years. 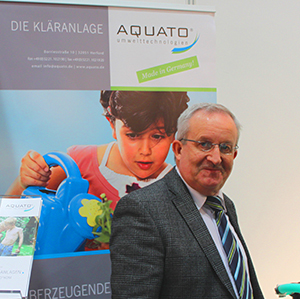 The lively exchange and many satisfied faces speak for our technology, for AQUATO® and the DEUTSCHE DEWATEC. We have planned a lot in 2019! More than 141,000 trade visitors from over 160 countries came to Munich from 14 to 18 May 2018. At the same time, IFAT was primarily international. AQUATO® presented itself once again this year together with its subsidiary company Deutsche Dewatec GmbH, on a large stand at the producer association BDZ. 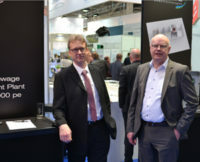 In particular, our foreign guests at the AQUATO stand noted with great interest our complete systems with the outstanding SSB process developed by us. But the German market continues to rely on our cutting-edge technology! 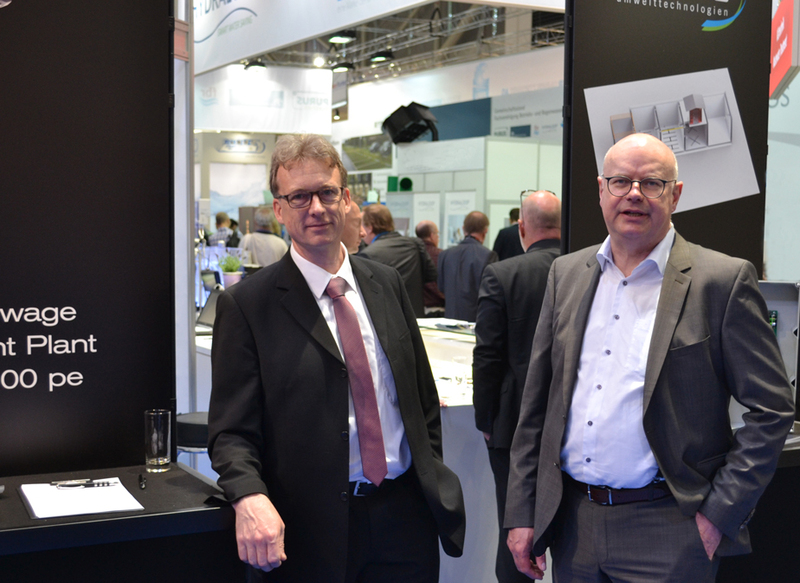 Finally, extremely satisfied faces, keen interest and lots of new contacts! 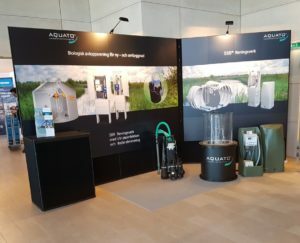 From March 21 to 22, 2018, AQUATO® once again presented itself to our Scandinavian customers at the Vatten Avlopp Kretslopp in Sweden. 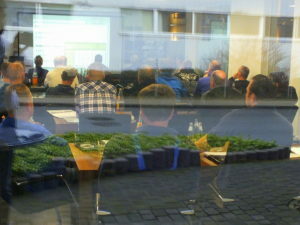 The audience showed as usual strong interest in our modern small wastewater treatment systems. Also this year AQUATO® toured throughout Germany to train many installation and maintenance companies. Our local Herforder sewage days were particularly popular again, where there were many interesting insights into the diversity of our products. Employees of authorities, cities and associations were informed about our current topics, “Succession of the general building inspectorate approvals” SSB process – sewage treatment plants with aerated primary treatment and background information on the new DWA-A 262. We would like to sincerely thank all involved for this success!